The structural collapse of the Rana Plaza in Bangladesh, which has claimed the lives of over 300 people, is a horrific tragedy that raises essential questions about ensuring safe working conditions abroad and the value of fair trade. I have seen the working conditions in a number of developing countries across Asia and Central and South America firsthand. Suffice it to say, they are often subpar. In developing countries, often governments either do not have appropriate safety regulations in place, or if they do, those regulations are rarely enforced. This lack of government oversight is why it is absolutely crucial for mainstream manufacturing to take a fair-trade approach to production. 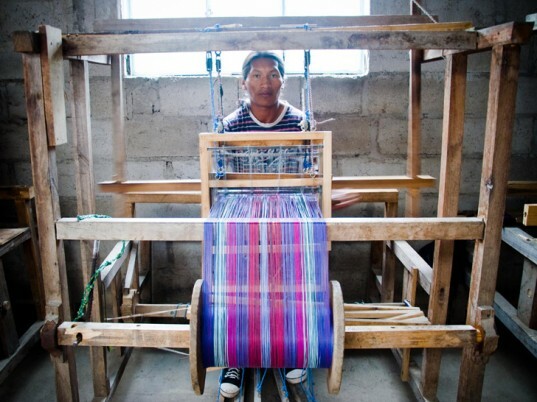 Fair trade really means doing what is right and ethical regardless of how little government regulations there may be. 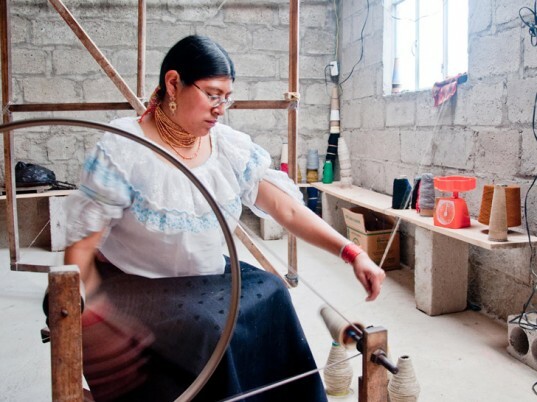 In fair-trade manufacturing, you create your own production guidelines and regulations to ensure that your workers have a safe and productive job that allows them and their family to earn a better life. In most countries, this means doing more than the government’s recommended bare minimum. Or if the government does have appropriate regulations in place, then adhering to fair-trade standards means policing yourself in the absence of government oversight. Fair trade really means doing what is right and ethical regardless of how little government regulations there may be. Even with significant pushes towards “Made in America,” the trend of manufacturing is increasingly global. And the thing is, this could be good for reducing world poverty. A very basic economic theory is that low wages in developing countries draw manufactures to those destinations. More manufacturing would increase the demand for the labor in that developing country, which in effect would push up local wages. Therefore, an increase in global manufacturing should increase minimum wages and therefore increase living conditions in some of the poorest areas of the world. Large American garment companies employ well over 3 million workers in Bangladesh, and many factory owners claim that they cannot raise wages without losing the business of the American companies. When simple economic theories are thrown off because those who demand the services are more powerful than those who supply the services, companies need to act ethically—and go above and beyond local laws—to correct that balance of power. In Bangladesh, the collapse of the Rana Plaza building this week and the fire in the Tazreen Fashions factory fire five months ago, highlight how companies rarely do go the extra mile. In both of these incidences, American companies were manufacturing products in Bangladesh, taking advantage of the lowest minimum wage in the world for factory workers—just $37 per month. The safety regulations are inadequate, not to mention completely disregarded by factory owners. The safety regulations were inadequate, not to mention completely disregarded by factory owners, resulting in the loss of precious lives. While American garment companies were not directly working in Bangladesh (they worked through supplier middlemen), they’re still ethically responsible for how their products are being made. Overseas suppliers are an extension of your business and thankfully, there are now more fair-trade garment factories than ever before. 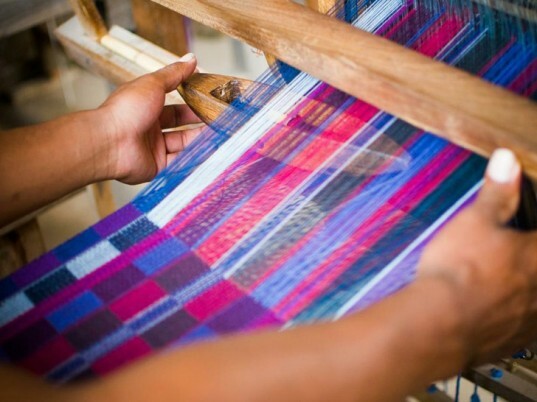 One great example is the Samaki Sewing Network, which is a socially responsible full service garment manufacturing business based in Phnom Penh, Cambodia, run by my friend Rachel Faller. I visited them last fall and saw smiling workers in a clean and happy environment. While Samaki can’t match the volume of the doomed Bangladeshi factories in question at the present moment, it has plans to scale up. If American companies took more pride in sourcing ethically, more fair-trade options like Samaki could easily grow to meet the demand. 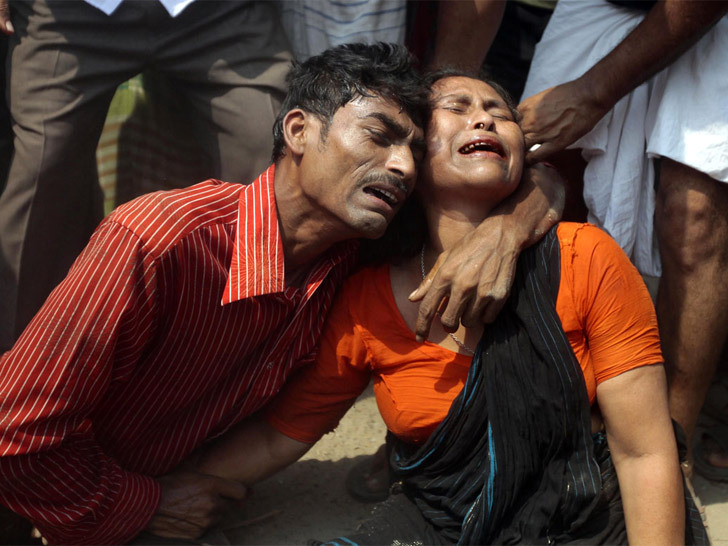 In honor of the lives lost this week, these tragedies must motivate us to demand that all garment companies adopt fair-trade principles and immediately begin producing more ethically. As a consumer, this starts with you. American companies produce with you in mind, so be responsible with how you shop and together we can change the industry. American companies produce with you in mind, so be responsible with how you shop and together we can change the industry. 1. BUY FAIR TRADE: Fair trade companies are committed to going above and beyond to create safe and productive working environments for their staff. Visit the Fair Trade Federation website for a list of its members. 2. DO YOUR RESEARCH: Green America has a great “Responsible Shopper” website that warns consumers about brand-name atrocities. You can also find ratings on nearly 200 apparel brands at GoodGuide. 3. BUY USED OR RECYCLED PRODUCTS: I’ve been a fan of thrift stores since I was old enough to dress myself, not only for the thrill of the find but because secondhand clothes have such a low impact on the environment. We were sold the Fair Trade agreement by the same people who are now promoting Right to Work laws. All it has really meant is cheap labor in poor conditions, and more profit for the corporations. The Unions who stood up against NAFTA were portrayed as evil, greedy people who didn't care about the suffering of the rest of the world. Now they're being portrayed as the evil greedy people who don't care about their neighbor being unemployed because they have their tenured, exorbitantly paid union job.